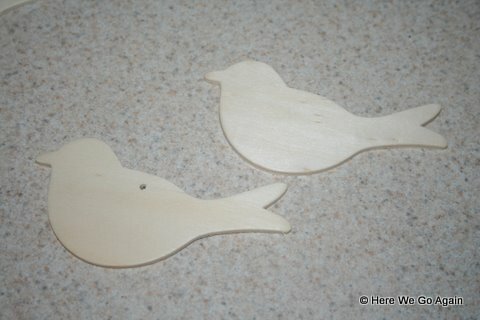 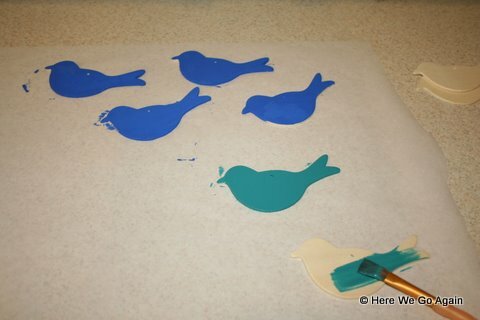 Then we painted our wooden birds some appropriately bright birdy colors. 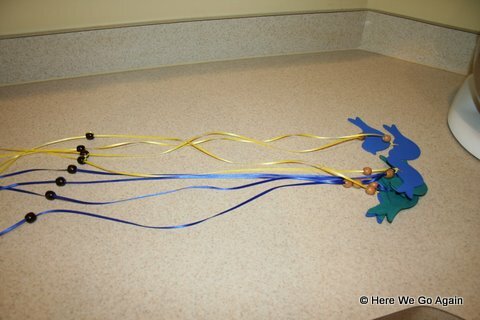 After they dried, we strung each bird on a ribbon, tied a knot, and slipped a wooden bead over the knot to hide it. 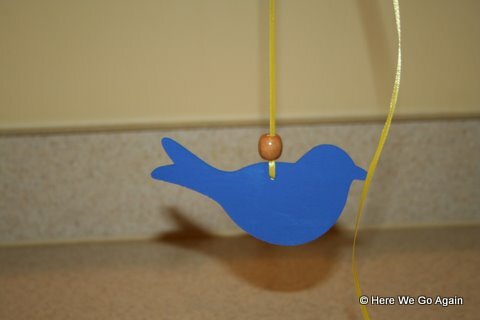 Then we strung wooden beads on the top of the ribbons to keep the birds from sliding up through the top of the mobile. 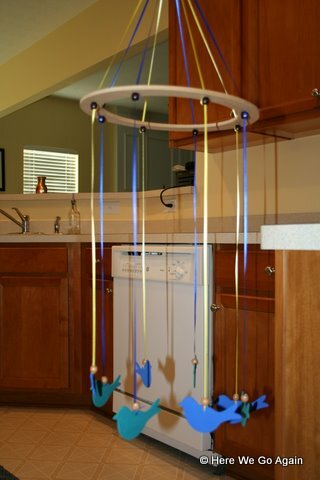 Finally, we strung all the ribbons through the mobile ring (a floral ring, also from Michaels) and gathered them into a knot at the top.Â And now we have flying birds!